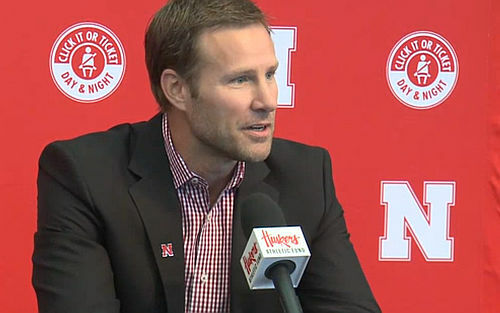 Despite no conference championships to celebrate in the past two decades, Nebraska fans are definitely encouraged by the hiring of Scott Frost and Fred Hoiberg, with high hopes for the near future. Some fans had measured responses (13 of them chose a midlevel rating of 5, 6 or 7. “Until I see a team that’s dominant, I don’t get too excited at all,” said Robert Johnson of Lincoln. I discovered someone with a unique combination of fan loyalties. 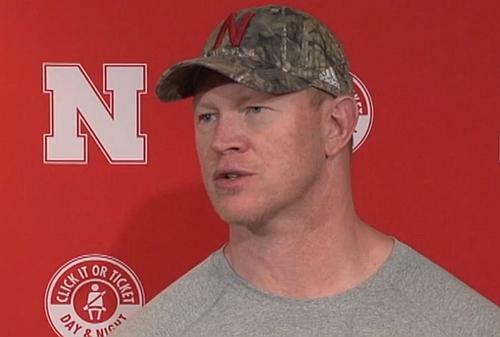 Tim Moore of Cedar Rapids, Iowa, has Florida roots. 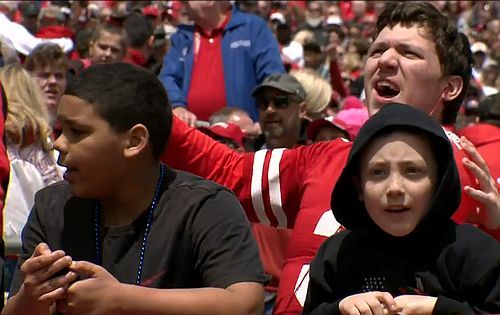 He was wearing Husker gear Saturday morning, although he claims to be a fan of both the Huskers and the Miami Hurricanes.